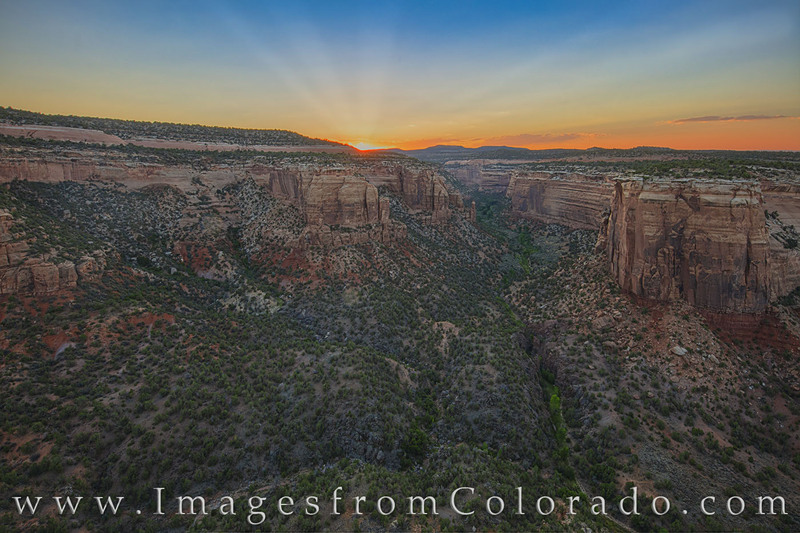 From a rocky ledge of the Ute Canyon Overlook in Colorado National Monument, this sunset image shows the amazing colors of the evening at the confluence of two canyons - Ute Canyon and Monument Canyon. A trail winds its way through the canyon one-thousand feet below. This is a beautiful place to spend a sunset.